Defending champions India were also the joint winners with Sri Lanka in 2002 edition of ICC Champions Trophy. The “Mini World Cup” of top eight ODI teams is all set commence from June 1 and the first match will take place between Bangladesh and hosts England in London. England are hosting the event for the third time. They were the finalist in the last edition but lost to India by 5 runs in a rain-affected match. ICC Champions Trophy first took place in the year 1998. We now take a look at the winners of previous editions. In the final of the inaugural edition, it was South Africa and West Indies who were up against each other in Dhaka. 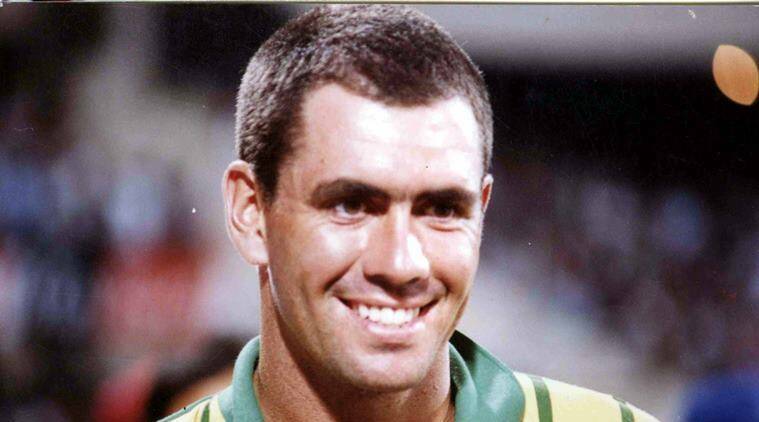 Hansie Cronje’s South Africa won the toss and they decided to bowl. The South African bowlers didn’t disappoint their captain either as they scalped an early breakthrough in the form of Clayton Lambert who was undone by Steve Elworthy for 7. But Wallace and Shivnarine Chanderpaul had different ideas. The two compiled a stand of 76 runs for the second wicket before Chanderpaul was trapped in front of the stumps by Nicky Boje for 27. Wickets kept tumbling on the other end but it didn’t effect Philo Wallace who stood strong and scored a hundred to anchor his team to a total of 245 in 49.3 overs. Jacques Kallis went through West Indies middle and lower order to pick up 5 wickets during the course. Daryll Cullinan and Mike Rindel began the proceedings for South Africa in a sensible fashion and put on 54 runs for the first wicket. But South Africa lost two wickets in quick succession and later lost Kallis when the team score read 118. Later Proteas captain Cronje took the responsibility and guided his side to a 4-wicket win in the final. He remained unbeaten at 61. India in this edition of ICC Knockout tournament found two new heroes in the form of Yuvraj Singh and Zaheer Khan. One emerged to be a swashbuckling striker of the cricket ball while another had the ability to rip apart the opposition batting. But despite of a fantastic run in 2000 edition, India missed out on lifting the trophy when they were beaten by New Zealand in the final in Nairobi. Kiwi skipper Stephen Fleming put India into bat and the Indian batting responded pretty well in the beginning. Captain Sourav Ganguly and Master Blaster Sachin Tendulkar, one of the most destructive batting pairs of their time compiled a partnership of 141 runs for the first wicket. Tendulkar scored 69 while Ganguly smashed a hundred on the course. But no other batsman showed any resistance to New Zealand bowling and India were restricted to 264/6. The bowlers though started off with some scintillating stuff and got a couple of early breakthrough. Wickets kept tumbling at regular intervals for Fleming’s side and they were reduced to 132/5. India seemed to be the favourites of lifting the title now but as they say a cricket match isn’t over till the last ball is bowled. All-rounder Chris Cairns took up the challenge and played a riveting knock of 102* while on the other side it was Chris Harris who chipped in with 46. Prasad though eventually got his wicket but it came pretty late for India. New Zealand riding on Cairns’ hundred won the match by 4 wickets. ICC Champions Trophy had now arrived to Sri Lanka and it was the two Asian giants, India and hosts Sri Lanka who locked horns in finals. But this edition of the Champions Trophy had to settle down with an unusual result when the trophy was shared between the two sides after both the finals in Colombo were washed out due to rain. In the first final, Sri Lanka opted to bat first after winning the toss and scored 244/5 in 50 overs. Captain Sanath Jayasuriya smashed 74 runs while wicket-keeper batsman Kumar Sangakkara scored 54. For India it was Harbhajan Singh who emerged to be the pick of the bowlers after getting 3 wickets in the process. India’s openers Virender Sehwag and Dinesh Mogia began the innings. Sehwag began with his natural game when the match was halted by rain. India were 14/0 in 2 overs at that time. No further play took place and the match was called off. The second final took place on the next day (reserve day) and it was again Jayasuriya who opted to bat first. This time he was cleaned up for a golden duck by Zaheer. Sri Lanka kept losing wickets at regular intervals and it was only Russel Arnold who scored a half century. Sri Lanka managed 222/7 in 50 overs this time. India’s chase went on for a longer time on this occasion but unfortunately was never concluded. India were 38/1 in 8.4 overs when the covers came on and the match was eventually called off. The 2004 Champions Trophy final took place in London. West Indies were in their second final of the Champions Trophy while hosts England were playing their first. Brian Lara after winning the toss invited the hosts to bat first. Riding on Marcus Trescothik’s 104, England managed a total of 217 in 49.4 overs. The English bowlers took a great advantage of home conditions to begin the proceedings well after they got Wavel Hinds’ wicket when the score read 19. England kept troubling the Caribbean batting line up to reduce them to 135/7 and later left them tottering at 147/8. England were now hopeful of lifting a major ICC title but Ian Bradshaw and Browne decided to write a different script. The two remained unbeaten in a partnership of 71 runs for the ninth wicket. Left-handed Bradshaw finished things off in style when he smashed a four through the cover region and celebrated the win in a typical Calypso manner. West Indies played back to back Champions Trophy final and were up against Australia in this edition. Australia previously haven’t made it to a Champions Trophy final. Batting first, West Indies were bundled out for 138 in 30.4 overs. In reply, the target was reduced to 116 in 35 overs for Australia after D/L method came into play. The Aussies lost Adam Gilchrist and captain Rickty Ponting cheaply but Shane Watson’s 57 and Damien Martyn’s 47 guided them to a victory by 8 wickets. Australia played their second Champions Trophy final on the trot and they took on New Zealand in Centurion in this edition. Batting first, New Zealand found themselves in a spot of bother when left struggling at 94/5. Though, Neil Broom and James Franklin showed some resistance to Australian bowling and ended their quota of 50 overs at 200/9. In reply, Shane Watson’s unbeaten 105 and Cameron White’s 62 anchored them to a six-wicket win. This edition of the Champions Trophy was hosted by England and it was the hosts who locked horns with India in the final game. It was a rain-affected final and the overs were reduced to 20 aside in Birmingham. India batted first and rode on a responsible partnership between Virat Kohli and Ravindra Jadeja to score 129/7 in allotted 20 overs. Kohli scored 47 while Jadeja was unbeaten at 33. England started their chase in a dismal fashion. They lost skipper at a score of 3 while were reduced to 46/4 before Ravi Bopara and Eoin Morgan took on the responsibility. The two looked strong at the crease but a master-stroke from skipper MS Dhoni worked in a perfect manner for the Men in Blue. Ishant Sharma was handed over the ball in the 18th over and Morgan was on strike. England at that position needed 28 off 18. Left-handed Morgan missed out on the first delivery but smashed a six on the second one. Sharma then bowled two consecutive wide deliveries. But the real drama was still left to unfold. The fast bowler bowled a full length delivery outside off-stump while bowling from around the wicket. Morgan tried to go over mid-wicket area but he only managed to give a sitter to Ashwin at mid-on. The left-hander was gone and the task was now up to Bopara. He was on strike as the two batsmen had changed their ends on the previous delivery. Ishant now bowled a short delivery and Bopara pulled it only to find Ashwin at square-leg. The home side eventually needed 6 runs off the last ball. Ashwin was bowling this over and Tredwell was on strike. 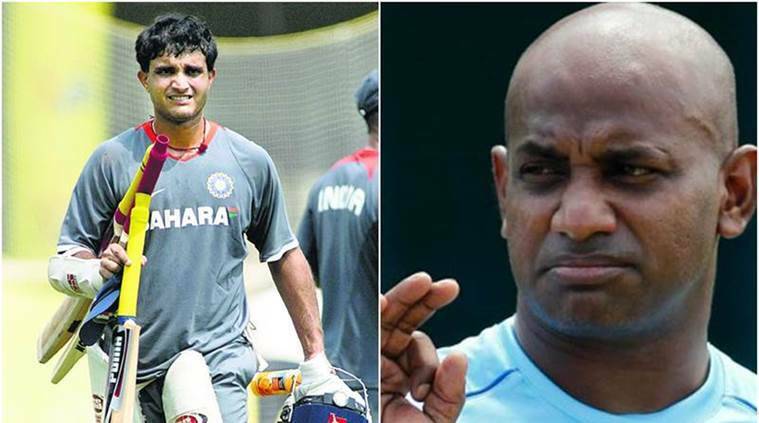 The left-handed batsman completely missed the delivery to hand India a win by 5 runs.